White oak barrels bring intriguingly different flavors to wine depending on the wood’s origin. The natural oils in our Hungarian oak barrels impart to the wine lovely aromas of toasted apples and a touch of smoke in the finish. Fermentation. In Hungarian oak barrels. Primary fermentation and full malolactic fermentation, both co-innoculated and sequential. Aging. 15 months in Hungarian oak barrels. Winemaking notes. Chardonnay juice for this wine is fermented in 225-liter barrels of French white oak. The resulting wine is then aged on its lees, stirring every 10-12 days to increase body and aromatic complexity. The wine undergoes full malolactic fermentation and aging in these barrels for 15 months. Aging: Store at cool temperature (55º-60ºF) and out of direct sunlight. This wine can age gracefully in bottle when stored in this way. Tannins will become more rounded and the color will darken with time. We still recommend that this wine be enjoyed while relatively young and fresh, i.e. within roughly 3 years of bottling. Tasting notes. 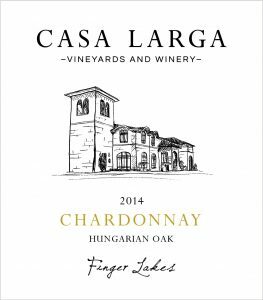 Our Hungarian Oak Chardonnay exhibits lovely toasted apple notes and a touch of smoke in the finish. Pairing suggestions. Chicken, pork, and pasta in mushroom and other creamy sauces, salmon, and light curries.